Description : At times, I wonder Mothers, far or near always care too much for their children. 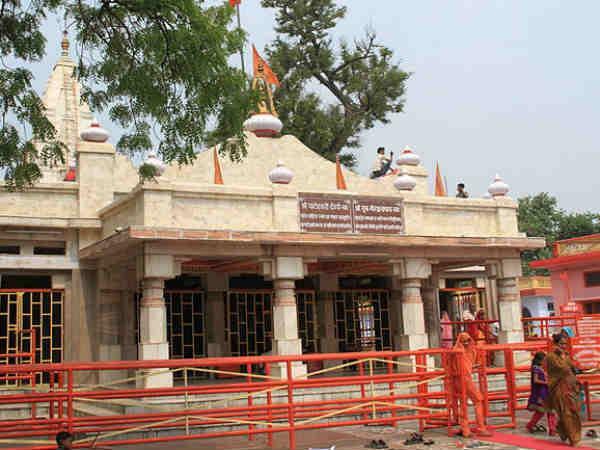 Here one call, and here I visit the Patan Devi Temple Patna. Magnificent temple split into 2 parts, big and small there are idols of Lord Ganesha, Vishnu and Surya. Most captivating are the black stoned idols of lordess Maha – Kali, Saraswati and Laxmi. Maa, you had a perfect plan ensuring your son greet all Gods & Goddesses in a day – Here this click for you! This time my taxi ride was quite tedious and the journey long because I was going to the Buddhist Nalanda University and Monastery, Patna which I was told was about 80-90 kilometers away from Patna. I was a little tired and took a nap in the moving taxi. The taxi driver woke me up when we reached the ruins of Nalanda. 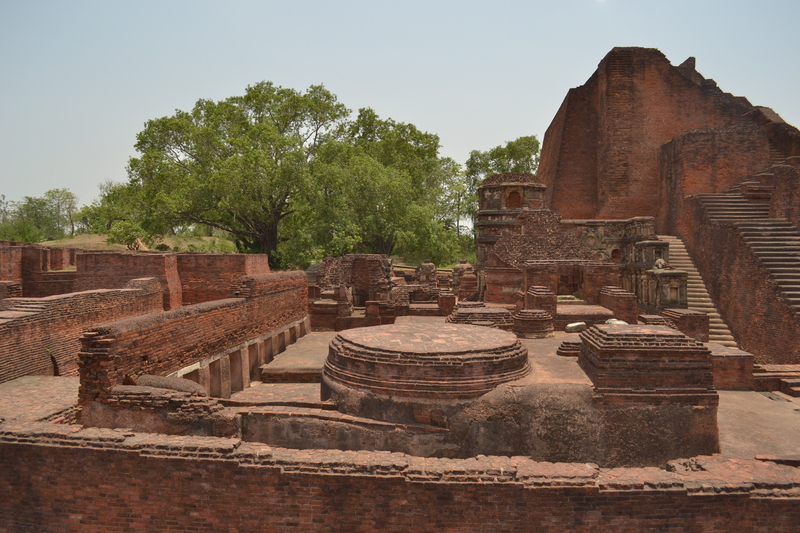 This was Nalanda, an ancient religious center of learning, which has been here since the 5th century AD. Of course, the center has been subjected to plundering by the Turk ruler, Bakhtiyar Khilji and fell in ruins once it declined from its peak periods when it received patronage from various Hindu Gupta rulers and Buddhist emperors. I saw in front of me a complex made of red bricks. I could not imagine the ruins in front of me as the much celebrated hub of learning in yester years where scholars came from all parts of the world but I do not deny realizing the importance of this center. The monasteries here had monks from faraway places like Greece, China, Persia and Tibet. I heard a guide say to some other tourists that the construction here had hundreds of rooms as classrooms. It is said that the Buddhist Nalanda University and Monastery, Patna had a huge library too, which was set on fire by the Turkish Muslim ruler and it burned for several months. It is a shame that the place was burned down, and it made me think that if it had not taken place what a sea of knowledge and historical evidence we might have been left with to join the pieces of history together. 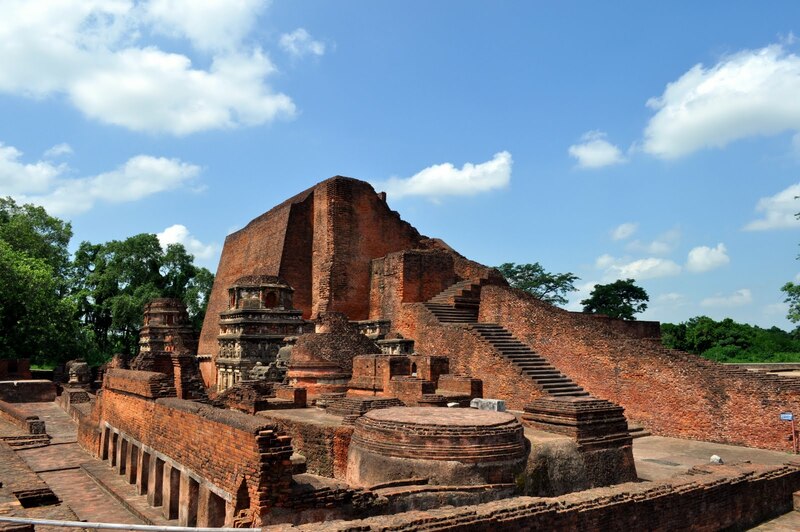 Alas, we just have the ruins of the world famous institution which has now been designated as Nalanda International University for its revival and restoration by countries such as Singapore, Japan, and China, where Buddhism had left its mark. I leave with a feel of the history here. With nothing more to do for the evening I retired to the home like environs of my hotel to rest and dine. The next day, I would conclude my sightseeing in Patna with my first stop at Indira Gandhi Planetarium Patna. The street outside the railway station was deserted in the middle of night, after all it was 12:30 but lone taxis were still standing at one corner. I made my way towards the taxi stand and hired one. He seemed to know the Hotel Nesh Inn Patna well for he took no more than 15 minutes to reach the hotel. 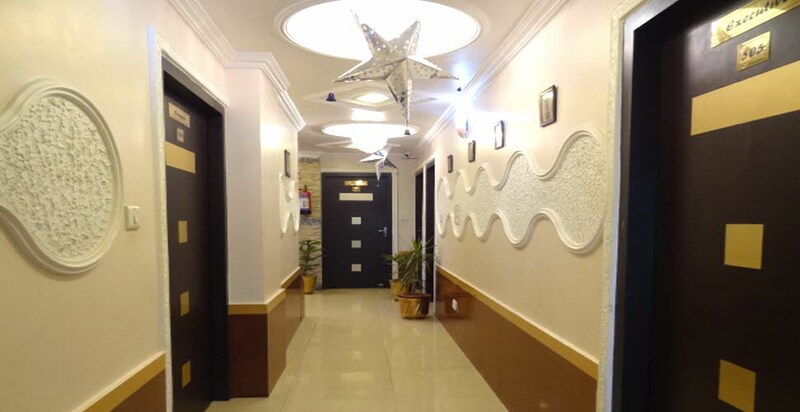 The hotel exteriors at the 5th floor of the apartment looked unimpressive but I was proved wrong when I entered the premise and was satisfied with my choice. The man at the reception greeted me with a smile and a few formalities later, the staff offered to take my luggage into my room and I was guided to the room 502. The room looked small but I did not mind at all. I just needed to freshen up and crash into a deep sleep to get rid of my fatigue. The next morning I woke up, got quickly ready and looked for the in-room menu card for some wholesome breakfast. Once I ordered some regular south Indian breakfast, I paid attention to my surroundings. The hotel and its rooms were clean and pleasing. The food smelled and tasted1/13/2014 good. The staff that I came in contact with was polite and courteous. The rooms were worth the stay and under 2000 rupees, it was very reasonable and affordable. I decided to explore the hotel a little more. The hotel boasts of a conference room that is well-equipped with internet and secretarial services. I made a mental note, may be one day I will visit Patna on a business visit and make use of these services. The location of the hotel is also strategic. It looks like a posh area and I see the Income Tax Office and Bihar State Electricity Board Office nearby. I approach the Hotel Nesh Inn Patna reception desk and try to find out about the various attractions that Patna has to offer. The helpful man promptly gives me a list of places that are a must-see in Patna. 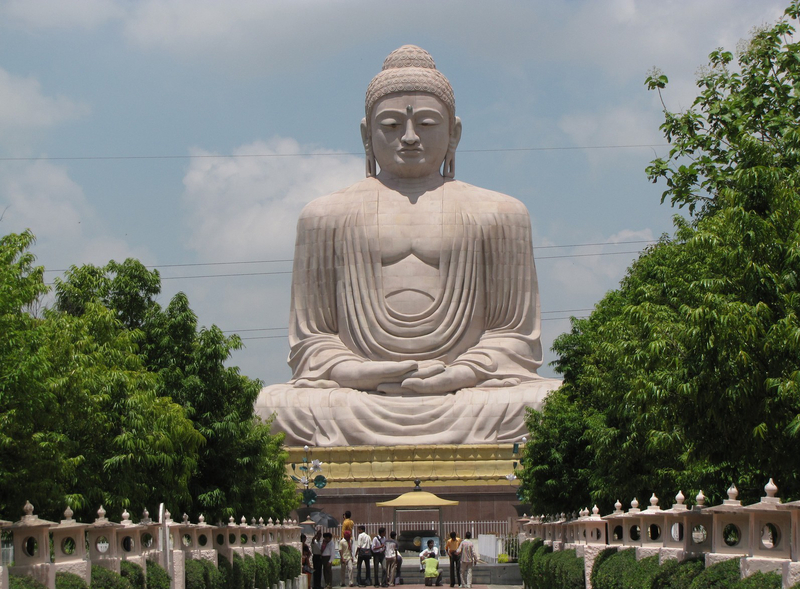 One of which is the Buddha Memorial Park, Patna where I am headed next. Description : Finally, a day off early from campus, mid- noon lectures cancelled just went out with friends to enjoy the street- food of Patna. We all went to taste the litti chokha food in Patna at the shop were Aamir Khan tasted the roadside food. This dish is just so delicious, No wonder a Superstar walking in a stall to eat it. Here the details for all those who are willing to visit the shop and eat. It’s “Raj Sweets” near the botanical gardens. 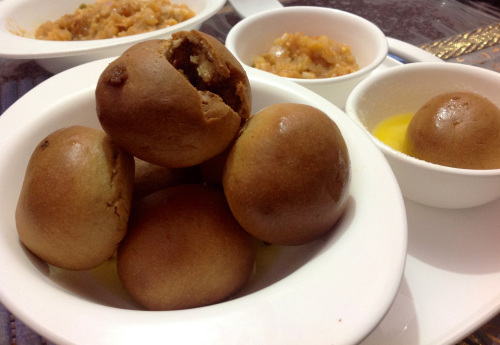 Do not miss to taste the roasted gram balls with spicy tomato, potatoes, and vegetables chokha made in ghee. It was only my second day in Patna and I was already in love with the place, its history and its landmarks. 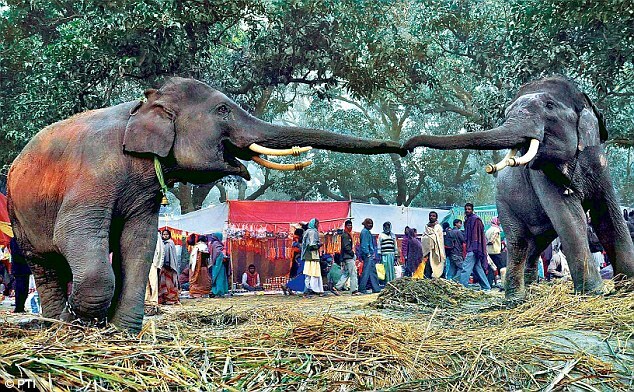 Today I planned to go to the Sonepur Mela, Patna, which is a much celebrated affair in the month of November and December. I have heard a lot about this mela. It begins on Kartik Poornima in November and goes on for about a month or so. I would not have missed going to this mela for anything so I had checked already that the mela was continuing till the 15th of December and here I was waiting for my commute to the mela, which I was told is about 25 kilometers away. The culture of India never failed to surprise me because as I stepped down the taxi I saw may be a thousand faces in one go in a fair that traded and sold animals like dogs, cattle, camels, buffaloes, ponies, donkeys and even elephants, though it is a common fact that elephants can no longer be sold and bought, but only traded. It was a kaleidoscope of colors and forms. There were various stalls too selling just about anything such as pottery, garments, furniture, utensils, handicrafts, jewellery and agricultural tools. I kept browsing until I came to a rather open space where in front of me was a sight that I would probably not see anywhere else. There were numerous elephants decorated beautifully and up for display. The animal trade here also involved birds and poultry. It is said that in the olden days people used to come to this mela from distant lands. The mela also has a religious significance. 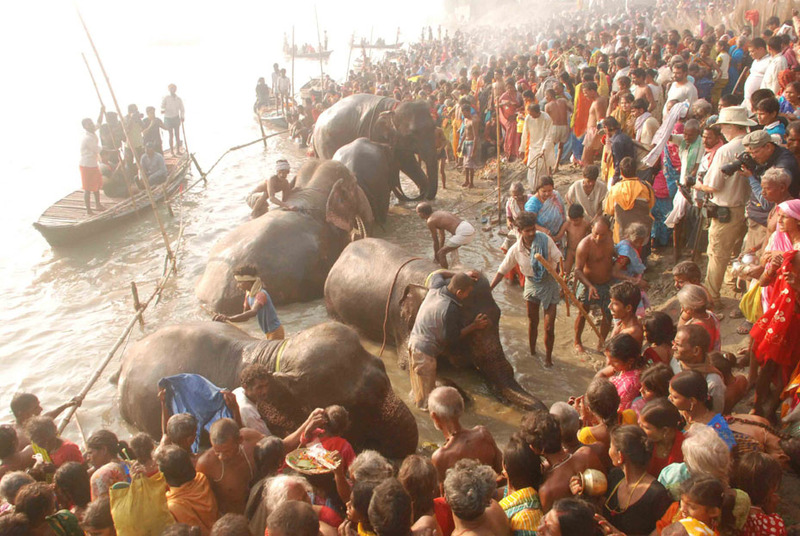 Sonepur is situated on the banks of rivers Ganges and Gandek and the two holy rivers converge here. There is also the temple of Harinath, which is believed to be constructed by Lord Rama himself but I did not have the fortune of visiting the temple because whilst I was busy looking at the wares in the mela, I lost track of time in Sonepur mela, Patna and the temple timings for visiting is over now and I am scheduled to go to the Buddhist Nalanda University and Monastery, Patna. My taxi then took me to Mahatma Gandhi Setu, Patna and I asked my taxi driver to come back for me in half an hour in the same spot where I left him. In front of me was the setu, imposing and lively. I chose to take the pedestrian’s way to see it closely. There are lanes for vehicular traffic both ways, which look forever busy. I noticed a toll-tax booth levying taxes on the cars cruising along each way in relatively high speed. 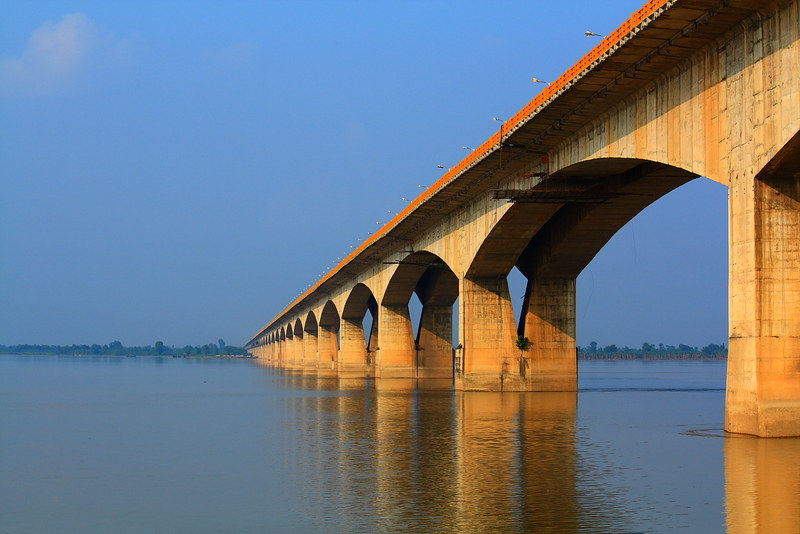 The bridge is the longest bridge in Asia over river Ganges connecting Patna and Hajipur, that is, it serves a link between the south and north of Bihar. I took in all the sights and sounds and lived my moment in this important landmark. It was a unique combination of the noise of the speeding cars on the bridge in stark contrast with the silence of the river beneath. Even on the pedestrians’ track there was no dearth of people passing by hurriedly, all purposeful while I stood thoughtful looking out towards the river, which was dotted by several boats cruising but appearing as minor specs on the vast river. I do have prior knowledge that the construction of the setu began in 1972 and took about ten years to complete and was inaugurated by the late Prime Minister, Smt. Indira Gandhi in 1982. The materials used in the construction of this setu might be concrete and steel. I know little about bridge constructions but the bridge here appeared to me as rock solid and most effective in providing the public the link between parts of Bihar because before its construction Rajendra Setu was the only bridge connecting these parts. It is about 5575 kilometers in length. I had once come across a rare postage stamp on Mahatma Gandhi Setu, Patna, being hailed as an important landmark bridge of India. I made my way back now because it was time for my taxi to return and I had to go back to the hotel for an early dinner and relax and the next day I had planned to visit the Sonepur Mela, Patna. Description : Recently, was running short of cash yet wanted an outing nearby so planned to visit bodh gaya patna sacred Buddhist pilgrimage. The deity of Buddha, Bhodi Tree were the once which attracted me the most to visit this place. As you can see this gigantic statue looks so amazing, the greenery, pleasant climate makes this pic a perfect frame click.